Wilmington, N.C. offers plenty of reasons to visit. From museums and parks to beaches and golfing, this diverse part of the country will keep you entertained throughout your visit. Offering easy access to area attractions, the Wilmington KOA is set in the heart of the city. 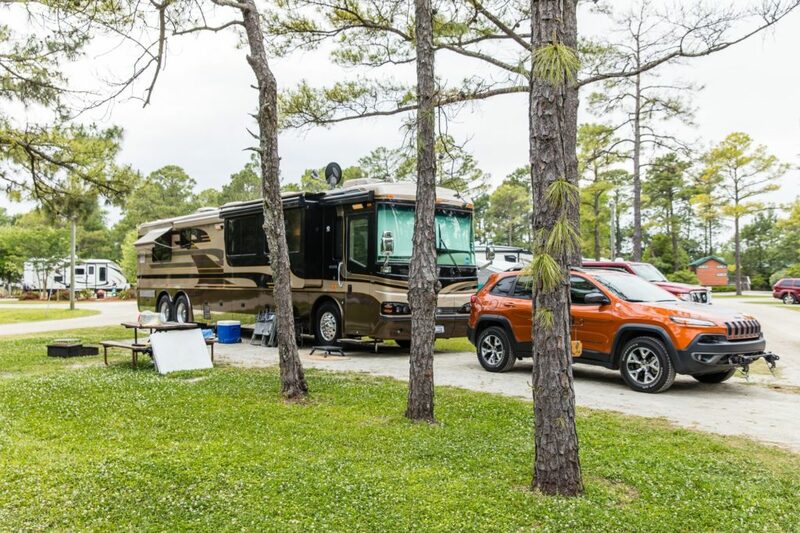 Open year-round, the Wilmington KOA offers plenty of amenities including 95 sites, many of which are pull-throughs. This pet-friendly resort also offers 30/50 amp electrical, sewer, water, restrooms, showers, a camp store, swimming pool, Wi-Fi, cable TV, RV/car wash, and several nearby restaurants, attractions, and golf options. After a $2.7 million renovation earlier this year, Inland Greens Park and Golf Course reopened in Wilmington. The park comprises 33 acres and includes a nine-hole par-3 golf course as well as a passive park with walking trails, a playground, bocce courts, and other amenities. Inland Greens Park and Golf Course, a city-owned public course, is a par 27 that measures 1,904 yards and includes water hazards on five of the holes. You can’t beat the price either. For out-of-towners, green fees are $9 for nine holes. If you feel the need to pull out the driver, you can tee it up at the nearby Wilmington Municipal Golf Course. This immaculate 18-hole public course was designed by Donald Ross and opened for play in 1926. Although an exact number is not known, Ross designed roughly 400 courses in the United States with more than 40 of those in North Carolina alone. At the Wilmington Municipal Golf Course, you can experience his classic turtleback or crowned greens that resemble an upside-down saucer and are designed to make approach shots and putting extremely daunting. The par 71 course stretches to 6,784 yards and is a must-play. The battleship USS North Carolina, which played a significant role in World War II, is one of the top attractions in the Tar Heel State. While visiting this refurbished battleship, self-guided tours offer glimpses of nine levels of living spaces, mess decks, gun turrets, powder storage, sickbay, and more. Docked adjacent to Riverfront Park on Cape Fear River, the 729-foot battleship received 15 battle stars making her the most decorated American battleship of World War II. The ship is open daily for tours. Airlie Gardens should also be on your must-visit list in Wilmington. Dating back to 1735, Airlie Gardens offers incredible displays throughout the year. Many of the 120,000 annual visitors choose to explore the gardens in the spring when azaleas are in bloom. To get a complete overview of the 67-acre gardens, take the free trolley tour. Many annual events are held on the grounds along with weddings throughout the year. 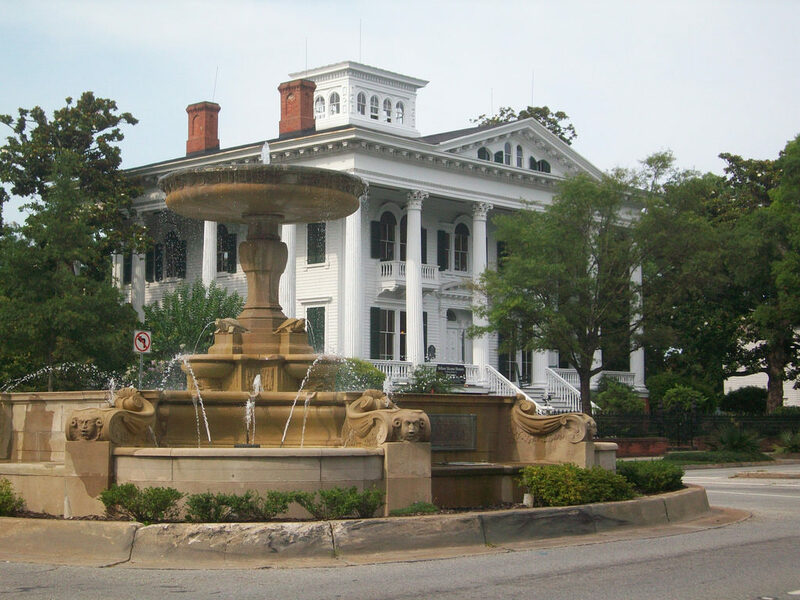 To appreciate a true antebellum mansion, stroll through the Bellamy Mansion Museum. This magnificent 10,000-square-foot home located in downtown Wilmington includes the mansion, carriage house, and original slave quarters. Collectively, they comprise a complete site where visitors hear not only the stories of the Bellamy family but those of the free and enslaved black artisans who built the home just prior to the Civil War. 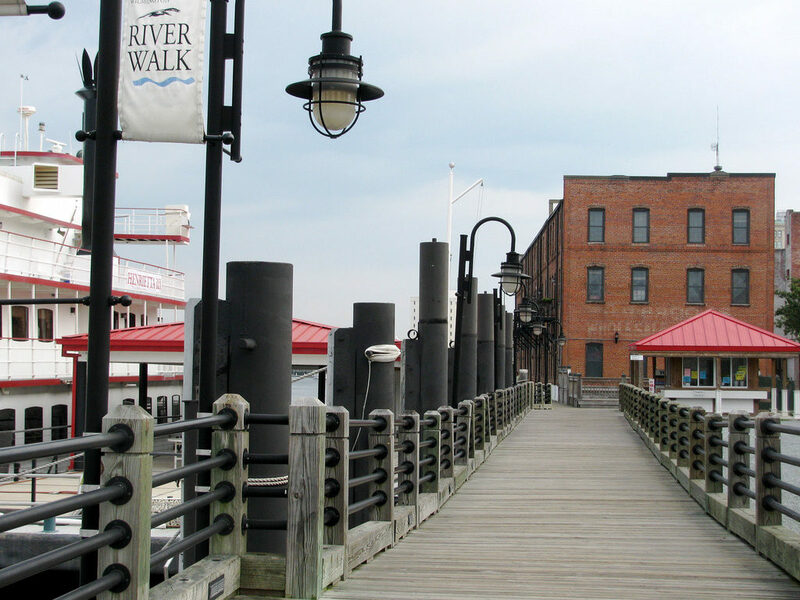 The downtown Wilmington area is easy to get around and offers lots of options. The Cotton Exchange is a popular destination, thanks to the 30 businesses who call this area home. The former buildings used for cotton export now house a collection of eclectic shops and restaurants. Its popularity is enhanced by the free parking available to visitors. Wilmington’s 1.75-mile long Riverwalk is also a popular destination for locals and visitors alike. The Riverwalk, with its collection of pastel-colored shops and historic structures, has been the subject of numerous works of art. Many come just to enjoy the laid-back atmosphere, to browse the shops, or have a meal or a drink. The Riverwalk is also where a number of events take place throughout the year. On every Saturday summer morning, the streets bordering the Riverwalk are crowded with vendors from all around the coastal area, selling their fresh wares as part of the weekly Wilmington Farmer’s Market. Year-round, there are many activities and sites to experience in Wilmington, N.C. For more on the area, check out www.wilmington-nc.com. To read more about the Wilmington KOA, visit Campground Reviews.